Swindon has a diverse and far-reaching variety of eating options, from Nepalese, Spanish, Oriental, Indian and Brazilian to the more traditional British cuisine. No matter what cuisine you are in the mood for, Swindon has got an answer! We’ve been busy this year trying to eat at as many restaurants as possible to make sure our list isn’t just based off of a few of the most popular or well known restaurants. The list of the top 10 best restaurants in Swindon has been decided by us, the team behind Swindon 24 based on our experience, the value for money and their overall reviews. Another relatively new addition to the eating scene in Swindon is The Ridge Bar & Grill which opened it’s doors in February 2017. American BBQ is a firm favourite for us and with the portion sizes we received at The Ridge, it’s little surprise to see it make our list. They have a 2-4-1 cocktails & mocktails offer between 12-7pm & then 10pm-til late, which is perfect if you need to wait to be seated. 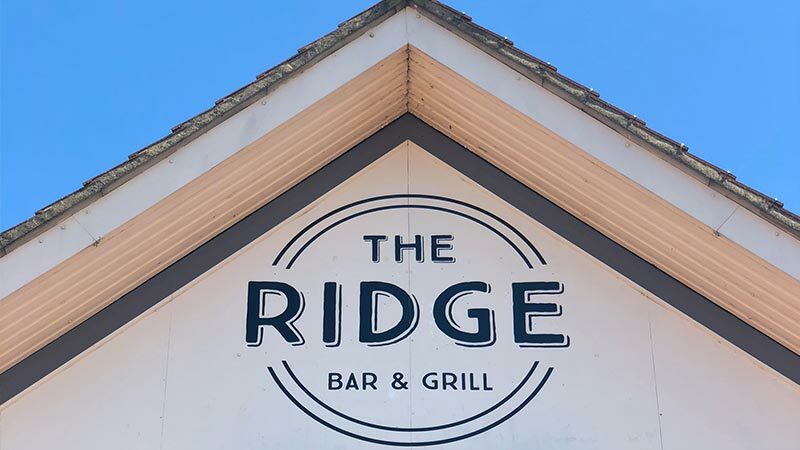 Burgers, hot dogs, brisket, pulled pork, ribs, mac ‘n’ cheese and more… everything bbq fans will love and need is available at The Ridge, at very reasonable prices. Wether you drop in before watching a film at Cineworld Cinema (West Swindon), a re-fill of energy after visiting Laser Quest or The 10 Pin Bowling alley, you will be greeted by friendly staff, which stems from the ever-happy twins, Luke and Scott, that run the restaurant. 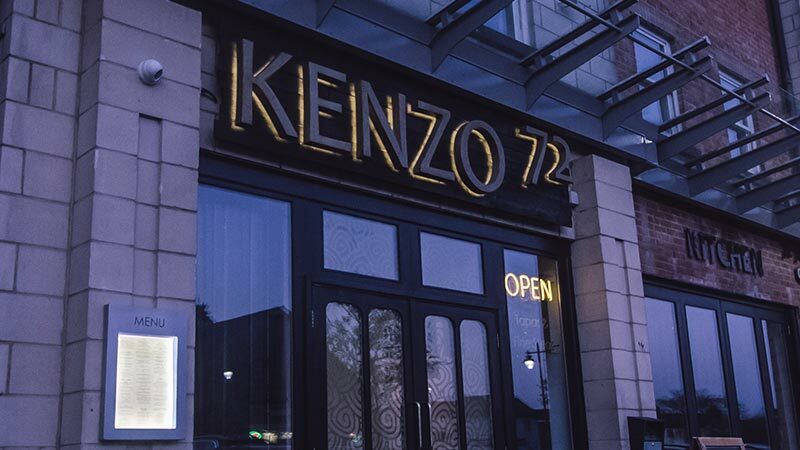 Kenzo 72 is a relatively new restaurant in Swindon, but is fast becoming one of the best. The menu is extensive and provides you with a wide range of options, so we’re confident you’ll find something you like no matter how you feel. USA grade steak, farm house ribs, Coca Cola chicken wings and of course, halloumi… are just a few of our favourite dishes at Kenzo. This restaurant does get busy, especially on weekends so we’d recommend booking in advance. However, if you don’t, there is a great selection of drinks you can enjoy in their lounge area whilst you wait for your table. 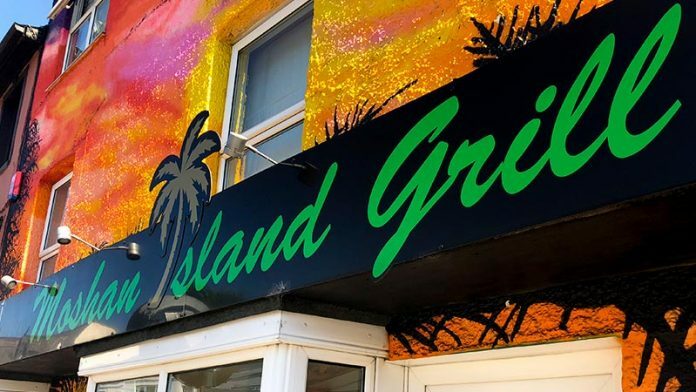 Moshan Island Grill was Swindon’s first Caribbean Bar & Grill restaurant. Freshly prepared and cooked Caribbean food was something Swindon was missing. The staff are welcoming, friendly and make a mean rum punch, which you have to try when you visit this restaurant. Offering a lunch, dinner and take away menu, Moshan Island Grill cater for all different appetites, occasions and palates. If you don’t have time to visit them at their restaurant on Newport Street, we would certainly recommend calling them and ordering yourself a Caribbean takeaway! Biplop’s use of authentic methods and indigenous spices and ingredients are the key to this restaurant being listed in our top 10 restaurants in Swindon. They boast of an award winning chef who creates traditional Indian favourites as well as exotic and unusual dishes to satisfy all customers. Biplop is located on Wood Street in Old Town, which makes it the perfect place to eat before or after a night out on the town. 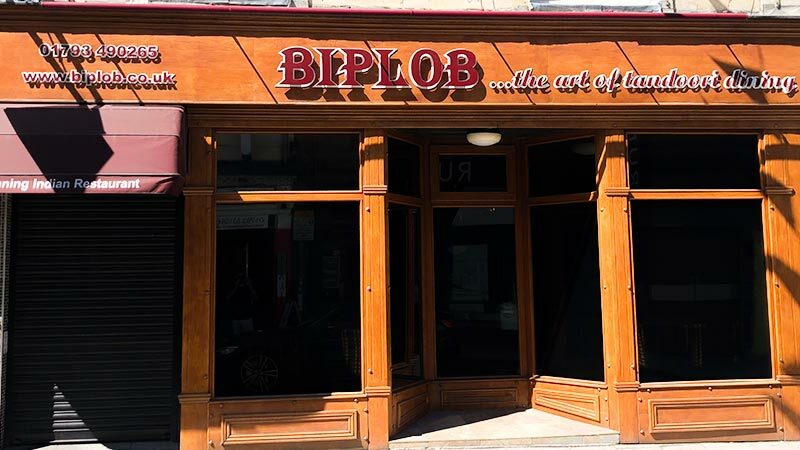 Biplop always offer delivery, so if don’t want to eat in their restaurant you can order your food dinner with them and collect it soon after. If you are a meat lover, then visiting Rios in Swindon is your go-to restaurant. Don’t ask any questions, just simply ring up and book a table; you will not be disappointment. 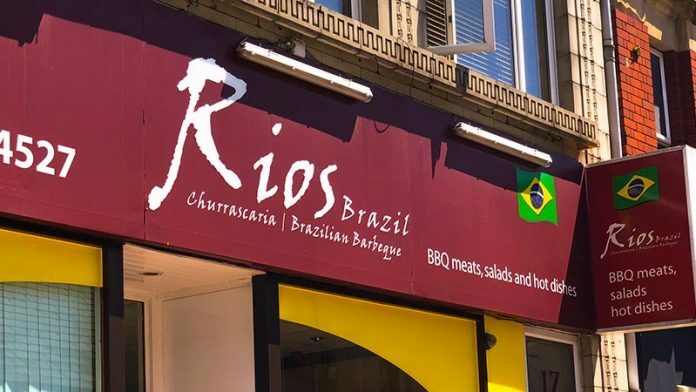 Rio’s is an authentic Brazilian steakhouse, serving a variety of cuts of meats such as beef, lamb, chicken and pork straight from the skewer it was cooked on! The warm and welcoming staff make dining at Rios a true pleasure. There’s no better place to enjoy a wide variety of meats in Swindon than Rios. All you can eat meat and salad bar for £19.90-£22.50 is very good value in our opinion. 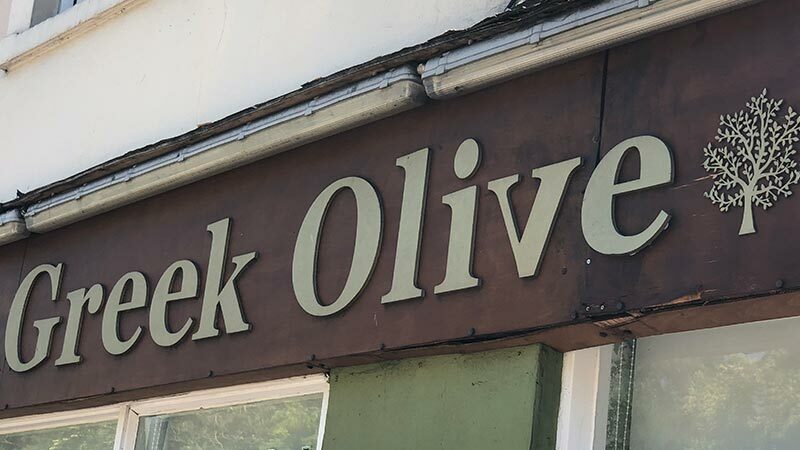 The Greek Olive is a comfortable and friendly restaurant in Swindon, serving freshly prepared Greek dishes guaranteed to satisfy your taste buds. We would recommend booking a table before visiting the Greek Olive as it can become quite busy in this idyllic restaurant. This is Mediterranean food at it’s finest served by friendly and enthusiastic staff. 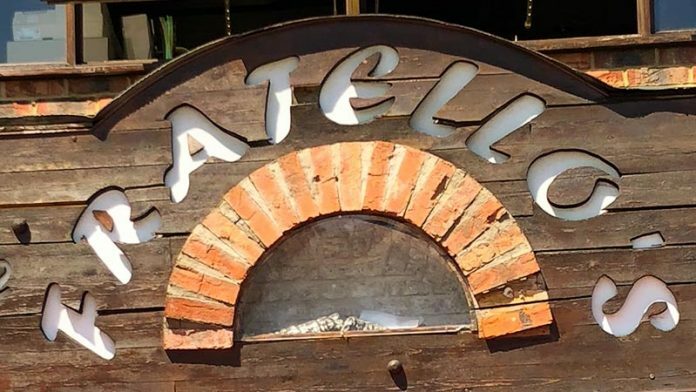 Fratello’s is an authentic Italian family-run restaurant that offers a selection of classic Italian food at a reasonable price. People will always differ in opinion when it comes to the ‘best’ restaurant, but in our opinion, Fratello’s is the best local Italian restaurant in Swindon. Fresh ingredients, chefs that understand flavours and a friendly, relaxing atmosphere makes for a great dining experience. If wood-fired pizzas are your thing, Fratello’s is the place to go. They also now do home deliveries so you can enjoy their food from the comfort of your own home… what more do you want? The Weighbridge, before it was turned into a fine dining restaurant, was previously a weighing station for trains, back when Swindon was a major railway hub. This restaurant is the highest rated restaurant in Swindon on Tripadvisor, and it’s for a good reason. 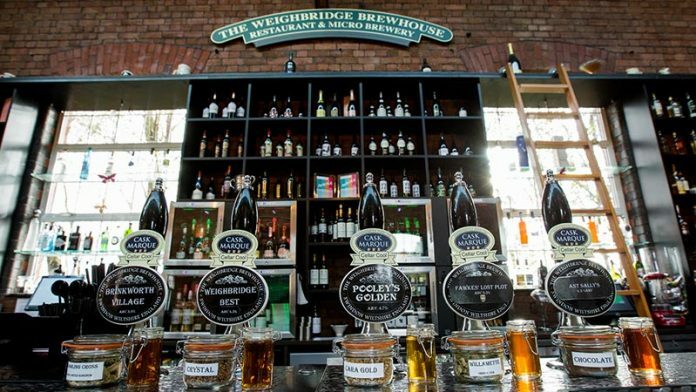 The Weighbridge serves a classic cuisine with a twist. The food menu is accompanied by a fantastic wine and beer list, including a range of their own brewed beers. There is an on-site micro brewery at this restaurant, so beer lovers can rejoice and sample some of the available selections. The Weighbridge typically have lunch offers running – a great chance to try the incredible menu at a lower cost. Swindon Rendezvous is a firm favourite of ours. Now back in it’s original building in Theatre Square, you can enjoy Cantonese cuisine in stylish and sophisticated surroundings. A recent addition to the Swindon Rendezvous is the Tuesday night ‘All you can eat & bottomless Prosecco’ for £25, which has gone down a storm with locals. It’s a great restaurant to visit if there is a large group as the all you can eat menu will allow you to try and enjoy new dishes that you may have not otherwise ordered. 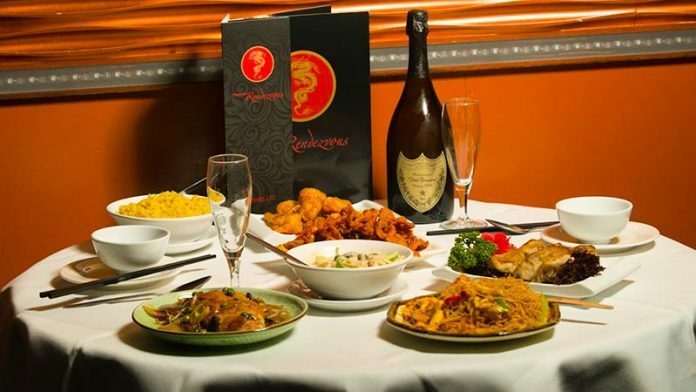 In saying that, it’s also a great place to visit with your partner if you are looking for somewhere to enjoy fine oriental food at a reasonable price. 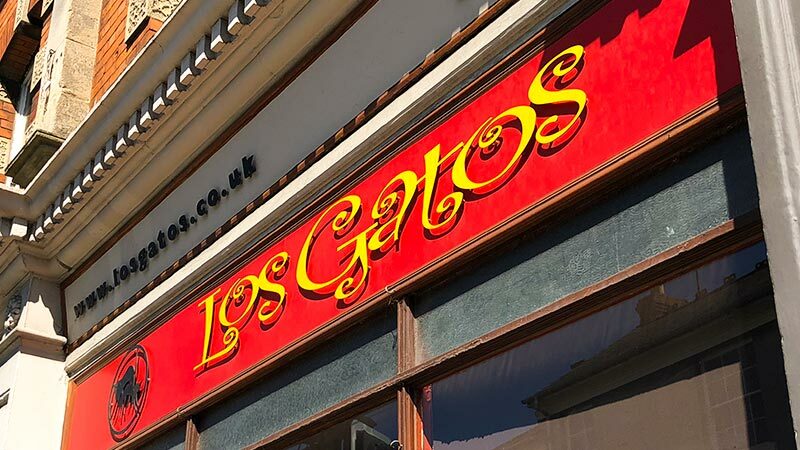 Los Gatos has been in Swindon since 2006 and is the only classic Spanish tapas bar in the town. There is no question that it’s one of the most popular restaurants in Swindon; you simply need to pass it any evening of the week to see that! Los Gatos is located on Devizes Road in Old Town, which makes it the perfect place to eat at before heading out for a few drinks. It’s one of the best places to eat in Old Town for sure. There are no bookings on the weekend, so if it’s busy (it always is), you may need to wait 20-30 minutes for a table. Fear not though, they have a bar area where you can enjoy some drinks before your table is ready. Both hardened Hispanophile and novice tapas-eaters alike are welcomed with open arms by the friendly staff, who are always on hand to guide you through their food and drink menus to ensure you have the best dining experience. 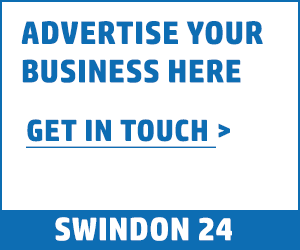 Whether you are visiting Swindon and want some ideas of where to eat or you live in Swindon and want to find somewhere new to eat, we’ve got you covered. Our above list of the 10 best restaurants in Swindon is subjective and by no means represents all of the excellent restaurants in Swindon. Below, we’ve included some of the restaurants that we visited, but were unlucky not to make our top 10 list. There are new restaurants opening up all the time in Swindon, so we’ll continue to monitor those and see whether they can break into our top 10 best restaurants to visit this year.